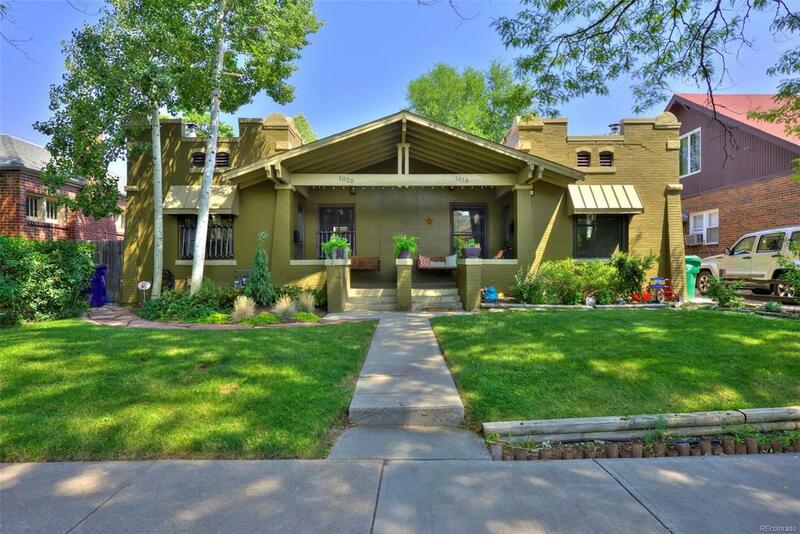 Beautiful half-duplex in the heart of Congress Park! Walk just 2 blocks to the shops and restaurants at 12th & Madison or down the street to Trader Joe's, Snooze and the development at 9th & Colorado! This home has been updated top-to-bottom featuring hardwood flooring throughout, built-in bookshelves, designer lighting, a cozy gas fireplace and an entertainer's kitchen with white cabinetry, quartz countertops and a Carrara marble backsplash. There are 2 sizable bedrooms plus a study! The backyard is an oasis with a new sprinkler system, new Trex deck, flagstone paver walkway and mature plantings. A detached garage provides plenty of space for vehicle and gear storage. The home is move-in ready with a new boiler, new water heater and upgraded plumbing/gas lines. Offered by Red Door Properties Inc.